Imagine your home, totally organized! 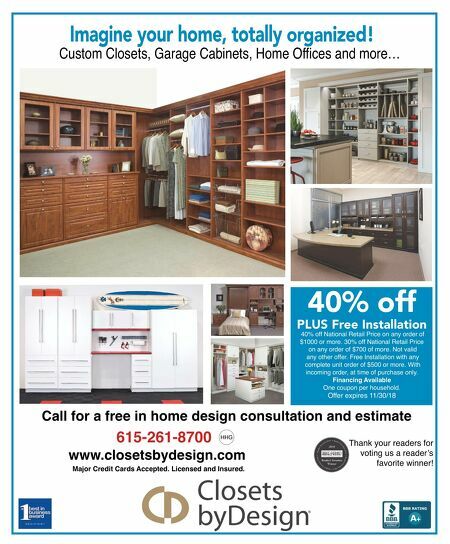 Custom Closets, Garage Cabinets, Home Offices and more… 40% off PLUS Free Installation 40% off National Retail Price on any order of $1000 or more. 30% off National Retail Price on any order of $700 of more. Not valid any other offer. Free Installation with any complete unit order of $500 or more. With incoming order, at time of purchase only. 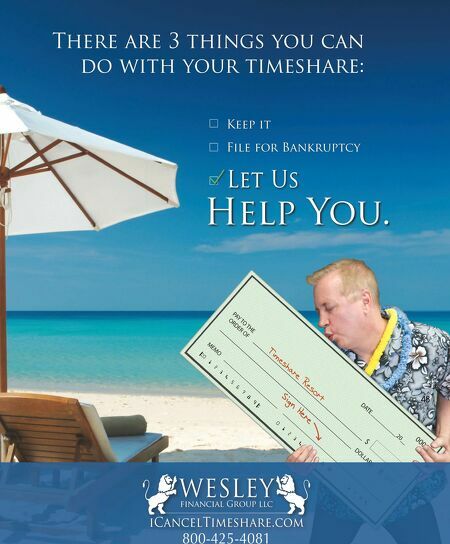 Financing Available One coupon per household. Offer expires 11/30/18 Call for a free in home design consultation and estimate 615-261-8700 www.closetsbydesign.com Major Credit Cards Accepted. Licensed and Insured. HHG Thank your readers for voting us a reader's favorite winner!